Inneholder fem dies med ulike snøkrystaller. Kan brukes hver for seg eller sammen. Se veiledning i Altenew Layering Guides eller følg direktelenken under. Every snowflake is unique and beautiful. 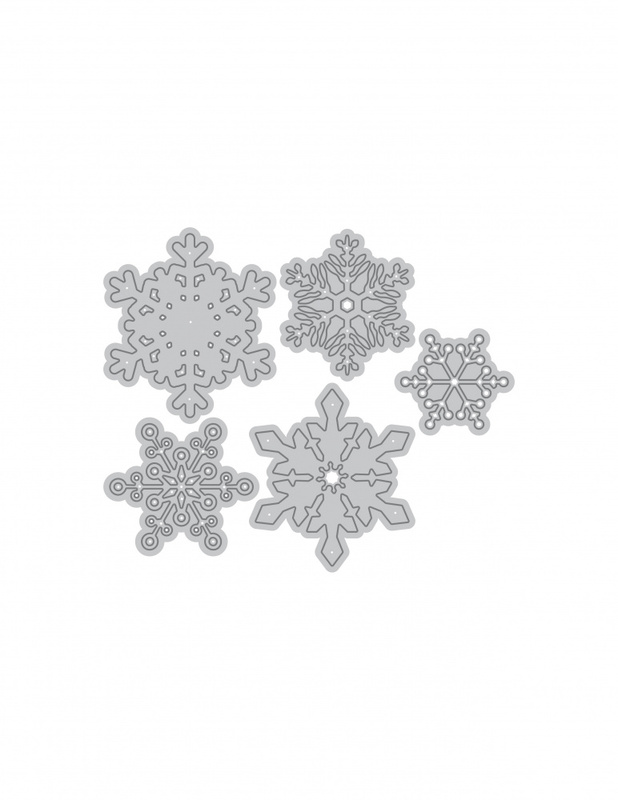 Mix and match these delicate dies to create your own layered snowflakes - just perfect for any wintertime project! The largest snowflake is approximately 2.2" x 2.5" while the smallest snowflake is 1.5" x 1.3".